In Tabletop Simulator, we provide a variety of classic games for your enjoyment. Additionally, we are actively working with publishers to bring in their games into Tabletop Simulator as DLC. 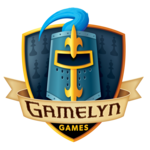 Keep in mind that our downloadable content (DLCs) are different from other games, as we partner with developers and publishers to bring their games into Tabletop Simulator. Each DLC is custom created with high quality assets and special themes that match their games. And best of all, only the host needs to own the DLC for everyone at the table to play. – Scythe (Released Feb 26, 2016) (includes the 1st expansion, Invaders from Afar.